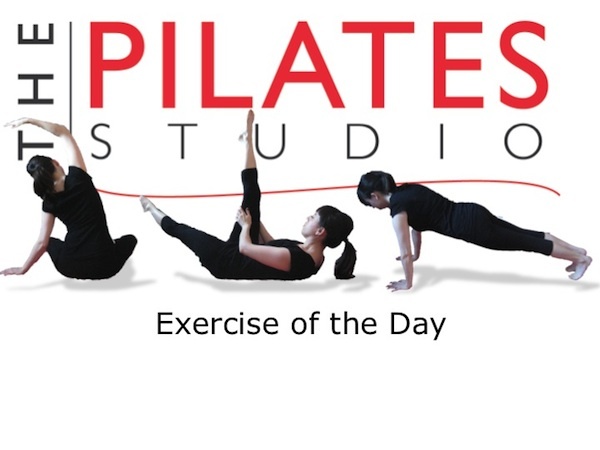 This exercise is intended to lengthen the muscles of the neck. To do this exercise you will need a mat. Start sitting with your knees bent and your ankles crossed. Inhale into the back of your ribs and exhale as you reach your ear towards the ceiling. Feel the length in the side of your neck. Take three breaths here and then repeat on the other side. To do this exercise you will need a mat. Start sitting with your knees bent and your ankles crossed. Reach both arms to the side as you inhale and then exhale as you place one hand on the ground and reach the other hand towards the ceiling. Then laterally flex your spine into the longest possible side bend. Remember that your spine ends with your skull. Be sure that your head is part of the curve. To do this exercise you will need a mat. Start by kneeling and then lean over to place one hand on the ground. Allow the opposite leg to float up into the air. Inhale into the back of the ribs and then exhale as you bend the floating knee and then straighten it higher into the air. Inhale as you lower it back to hip level and then exhale hip height. Repeat 8-10 times. Make sure that your hip is right over your bottom knee and the your shoulder is directly above the wrist. This will create the longest possible spine. This exercise a variation of kneeling side kick. To do this exercise you will need a mat. 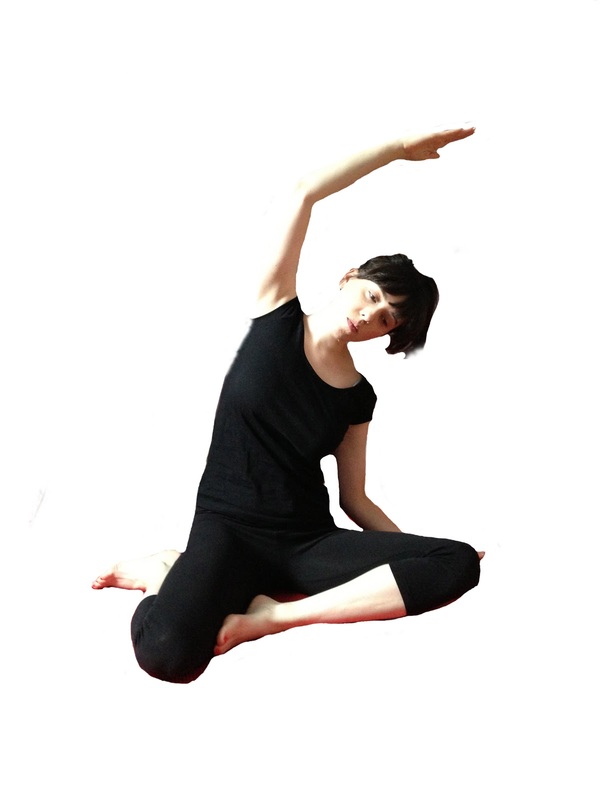 Start by kneeling and then lean to one arm so that you are standing on one arm and one knee. Inhale into the back of your ribcage as you allow the leg to float into the air. Exhale as you press the leg behind you. Inhale again as you kick the leg forward then bend the knee and press the leg behind you. Inhale as you kick the leg forward and exhale as you continue for 8-10 repetitions. This exercise adds movement in the knee joint to the side kicks. Watch that the thigh doesn't drop towards the ground as you bend the knee. If your wrist gets sore, you can always make a fist and place your knuckles in the ground. This exercise is a variation of the kneeling side kick. To do this exercise you will need a mat. 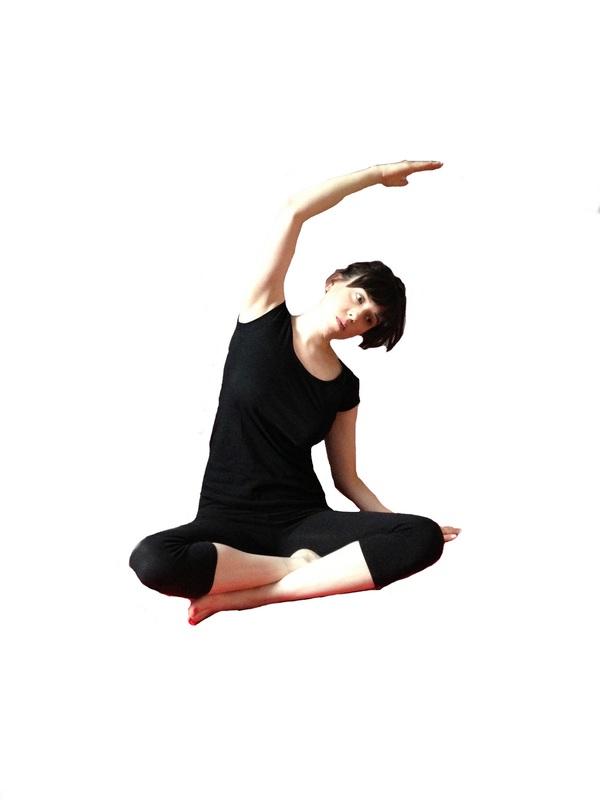 Start kneeling and then lean over to one hand so that you are supported by your knee and your hand. 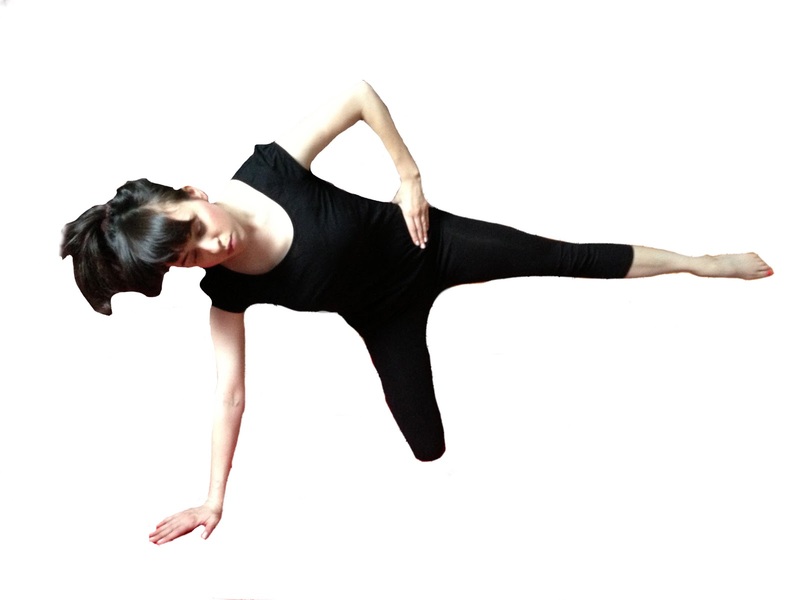 Inhale as the leg floats into the air, and then exhale as you circle the leg back and down. Inhale as you circle the leg forward and exhale as you repeat 8-10 times. It will be difficult to keep the hip still as you are circling the leg. Be sure to line the pelvis up above the thigh this alignment will help free up the hip. If the bottom wrist is having trouble with this position, you can make a fist to support the arm.